WARNING! This post can cause adverse drooling. Three months ago this carb-aholic, sugar addict could not go a day without her chocolate refined sugar cruddy milk fat chocolate bar. I ate weight-inducing chocolate, blood sugar nightmare bars, and now I am a recovering sugar addict I prefer quality in my chocolate habit. So you have been warned – look away if you are a chocaholic! A friend introduced me to ‘The Raw Chocolate Company’ on the 17th of April 2013 (my birthday just in case you want to buy me a gift next year). She was kind enough to buy me a packet of chocolate-covered raisins from this extra special company. She, I admit, is very specific about her food choices for herself and her young daughter, only wholefood, pure, healthy food. I thought she was just extra fussy until I gave up refined sugar, and 4 months later I am a convert to really good quality food. And so after feeling a little low one day I took my packet of organic chocolate covered raisins down to Gloucester Docks and sat looking at the water, and within 15 minutes I had put the world to rights, in my head of course. I suddenly felt that nice uplifted feeling you get from coffee but without the dehydrating affects of coffee. I sat mesmerized at the packet for a while, trying to dissuade myself from indulging in the whole lot at one sitting, and read a little about the product and company. I knew then that I had to contact this company to discover more. I had never heard of them before, and maybe you haven’t either? So that day I wrote to ‘The Raw Chocolate Company‘ to see if they would like to work together with me, and if I could review their products. Much to the chocolate-induced happies inside my head they said ‘Yes’ and I received a fabulous box of goodies to try out and review. Not just chocolate but some fabulous cooking ingredients which I have been putting through their paces on my blog and in my kitchen. Who Is ‘The Raw Chocolate Company’? 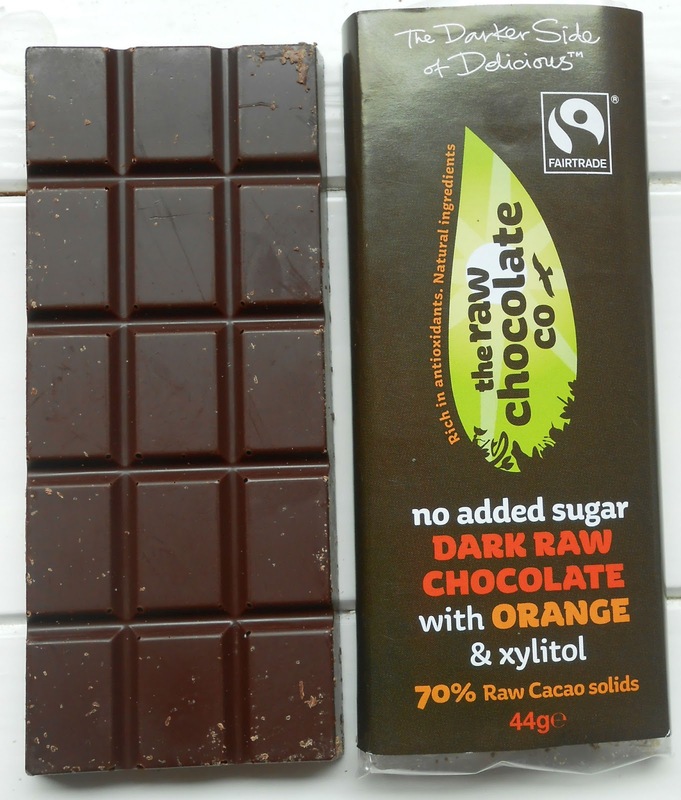 The Raw Chocolate Company is UK based and is a very ethical company. They have a low carbon footprint, and love the planet so much they wanted to provide chocolate and other products that did not impact the environment in a negative way. A socially conscious company that believes in the goodness of life and feel it is important to add love to the planet, thus supporting a more sustainable way of doing business and being a positive ripple in the world. All of their ingredients are ethically sourced and the only ingredients that are not organic come from small-scale growers who use traditional, pesticide-free growing methods. For more information click HERE. High in antioxidant flavanoids, sulfur, magnesium. Contains more antioxidant flavanols than green tea, red wine or acai. Contains protein, fat, calcium, iron, zinc, copper, potassium, beta-carotene, thiamine and riboflavin. It can be mood enhancing because it contains anandamide and theobromine. Let the taste test begin….. The Raw Chocolate Company ingredients I received. Being totally sugar free for 4 months I was pleased to try out coconut palm sugar. I had heard about it from other people but never had tried it before.Coconut palm sugar is a great alternative to refined sugar. It tastes a bit like brown sugar but contains nutrients (unlike refined), is high in potassium and is low GI so suitable for diabetics and those of us wanting to manage our blood sugar. 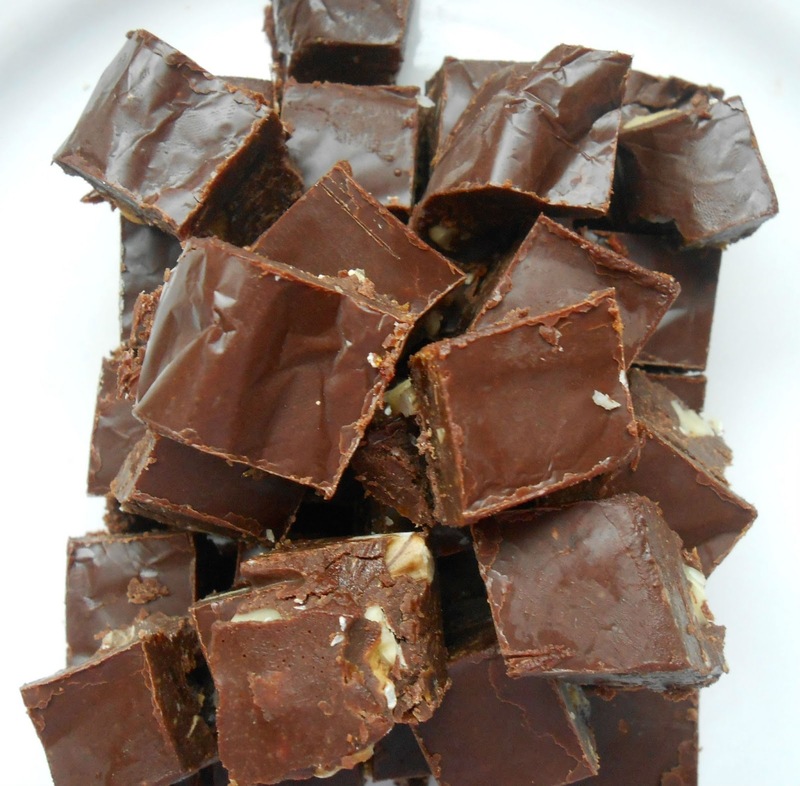 I used the coconut palm sugar, cacao butter and cacao powder in the easiest, tastiest Chocolate, Date, Walnut and Peanut Butter Fudge you can ever imagine. If you want to try this out for yourself click here. Cacao butter is also a new ingredient in food for me. My first impression was the heavenly scent that came out as I opened the pot. It was beautiful. I can still smell it just thinking about it. It comes in a solid form and needs heating to use in cooking and is brilliant for making fudge, and The Raw Chocolate Company even encourages you to try making your own chocolate. Now that is a good company that thinks about the customers’ enjoyment and needs. The cacao powder was a beautiful light brown colour and worked perfectly in my fudge. I look forward to trying a hot chocolate some time soon, maybe when my womanly hormones kick in and I need that extra comfort that we women often require. The next on my list to try out was raw chocolate bars. They sell a smaller 22g mini bar perfect for popping in your bag on a trip out or a cheeky indulgent moment on a break from work, or a larger 44g size bar for doing the happy dance when someone really nice gives you a bar of chocolate. This is a rich dark chocolate that is perfectly complemented with the taste of orange and goji berries. Unlike my normal response to pure pure pure dark dark dark chocolate my mouth made the sound MMMmm…. with this combination. The flavorsome orange and goji just made the dark delicious to me. Thumbs up! Raw Chocolate 70% Cacao (contains Xylitol). Normally, not a mint-chocolate lover, or mint-anything lover. If someone offers me mint chocolate, I turn my nose up, this is my honest response, BUT, I was pleasantly surprised with this mint raw chocolate bar. The mint was really refreshing and cooling in my mouth. Glad to be surprised and the xylitol added a perfect amount of sweetness. I am familiar with Xylitol because I have it in coffee and it is one of a couple of sweeteners I will use as it is bio-identical to the xylitol found in the body. Honestly? My tongue did not like this one. BUT… I could tell from taking my time sampling it, that this packs a super punch kick of dark chocolate fix. This is one for those real chocolate connoisseurs, those tough strong espresso-coffee lovers for whom nothing but a strong black coffee will do. The caffeine kick was too much for my sensitive taste-buds, but I can see that a lot of people who love dark chocolate will adore Pitch Dark. One of my favourite chocolate combinations is orange and chocolate. This is a deliciously creamy dark chocolate. The orange offsets the pure rich cacao flavour, and the xylitol sweetens it to perfection. It is one of those melt-in-your-mouth experiences. The great thing about raw dark chocolate is you do not need to eat the entire bar in one sitting to experience the uplifting qualities of cacao. Synergy at its best. Crossing over the chocolate pond from milk chocolate? – want a healthier confectionery? – but not quite ready for DARK dark chocolate?… this is the range for you! Contains: Cacao butter, Lucuma, Coconut Palm Sugar & Vanilla (no cacao powder). Creamy, smooth, buttery, lip-smackingly tasty. My eyes felt deceived that this looked like brown chocolate tasted like white – confusion in a good way though. Loved the vanilla after taste, I love vanilla! This is the best switch over from dairy-milk chocolate to something that has better ingredients and more nutritional value. As lovely as the ‘white’ chocolate treat above but with the added benefit of raw cacao. I love the addition of lucuma. I had never heard of this before looking at these chocolate bars. The Raw Chocolate Company hit the nail on the head with their description – a great taste balance in this chocolate bar. A great introduction for anyone making the switch over to darker chocolate. (available in 100g, 200g pouches and 32g snack packs). After first being introduced to The Raw Chocolate Company I must admit I was looking forward to trying these most of all. I received a packet of Raw Chocolate Goji Berries and Raw Chocolate Mulberries. I love goji berries. They look all cute and wrinkled and when you bite into them they are both sweet and sour at the same time! Top this off with a coating of raw chocolate and raw cacao powder and it is one of the foods you like to indulge in. A great balance of flavour. I discovered having a bowl next to me was pretty lethal, but one day when I felt uninspired with my writing I had a few goji berries and I was suddenly clear again (like a lovely shot of coffee without the side effects). These come in pouches and snack-packs, ideal for trips out and would make an excellent alternative nibble food at a party. (74 % Cacao – these are also sold in a 150g Gift pack). At first look these made me smile. They look in appearance like little wrinkly old men (but in a cute way – I am not ageist – grin!). The taste was very different from the goji berries. These are chewy, a bit like the texture of toffee chews and much harder than goji berries. I found I enjoyed them more as I held them in my mouth a little longer. But overall, for me personally, not as good as the goji or raisins. *Edit – Since writing the review I have eaten nearly the entire bag of Chocolate Mulberries and now I am hooked on these – they are on equal footing with the Goji Berries and not as crunchy as I first wrote, very tasty and sweet actually! And so ends my Raw Chocolate Company tasting session. Sad to see it go (but I still have more to eat – sticks out tongue!). My favourite review product I tested was the goji berries, and coming second is the goji berry and orange. The range is great at The Raw Chocolate Company and I hope to test more in the future. For anyone on a sugar detox, and once the detox is over, wanting to re-introduce chocolate back into their diet, The Raw Chocolate Company offer a more healthy alternative. The ingredients are so pure and ethically sourced, you genuinely feel you are eating products filled with a whole lot of love. My only negative I have about raw chocolate in general is that anyone with a caffeine sensitivity may want to stay away from the higher cacao bars. And I recommend everyone to eat chocolate in moderation. Chocolate is a treat, not a daily staple food item in a diet. Also because everything is ethically sourced it is a bit pricey but as you don’t need to eat a lot to feel satisfied, this balances out. Hope my review has tantalised your tastebuds and a great big thank you to The Raw Chocolate Company for supplying me with the goodies! Have you ever tried raw chocolate before what did you think? Have you tried anything from The Raw Chocolate Company before? 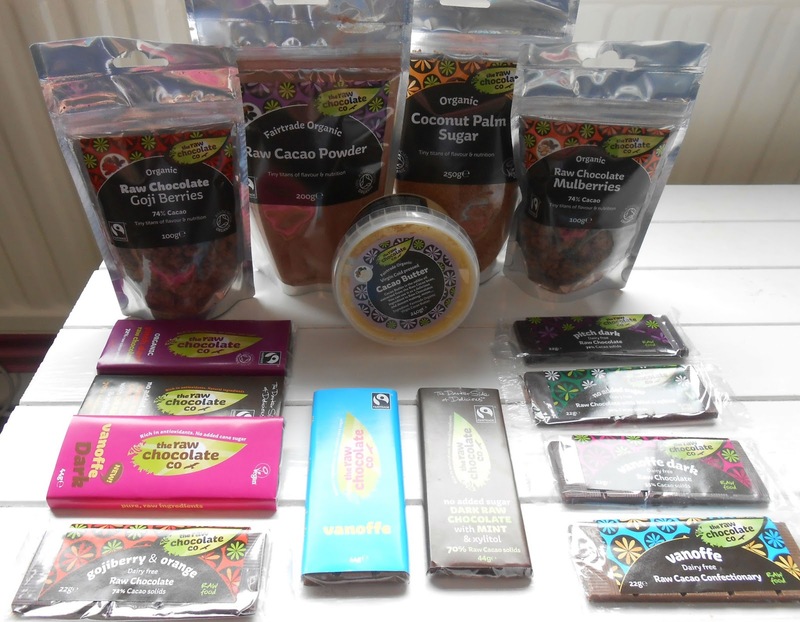 Post Disclaimer: I received a selection of raw chocolate and cooking ingredients from The Raw Chocolate Company in the UK for review. All opinions are my own. I've never heard of the Raw Chocolate Company before but they certainly seem to have a wide selection of delicious-looking products. I'm sure I would love the Pitch Dark bar because I'm a real fan of seriously dark chocolate and I find I only need a square or two to satisfy my chocolate craving. The added bonus is that the darker the chocolate, the less likely my children are to eat it. Although, having said that, my nine year old has quite a sophisticated palate when it comes to chocolate and I'm sure it won'y be long before she is helping herself to MY "grown up" chocolate! Good plan Sarah, so dark means more for you 🙂 Wow to your 9 year old starting early (grin). You must try the fudge it is heaven heaven heaven! i never heard of the raw chocolate company either and it looks really intresting and would love to try it! would be good for doing cakes etc knowing people who are on diets can still enjoy the strong chocolate flavour without the added sugar! im really intrugered about this rage now, im not a huge fan of dark chocolate but would be awsome to taste just to see if there is any difference! Thanks Annelouise, they sell great ingredients, good quality and very nutritious. Also show you how to make your own chocolate. I was not a fan of dark chocolate in my past but you can get some great combinations and instead of needing a whole bar like you do with milk chocolate you need a small amount to fulfill the needs for chocolate. Hi there, I did not know that, as I understand chocolate has been a sacred item for a very long time. I would love to go to Sicily and try that chocolate too (grin). Isn't it interesting everyone is so different. I am not a mint chocolate fan but my friend Sharon likes it. I mentioned orange and she turned her nose up and I love chocolate and orange together. Glad you like my review Andy, I thoroughly enjoyed writing it. It sounds lovely but don't you find that xylitol has a powerful laxative effect, or am I just unduly sensitive to it? I did try chocolate sweetened with xylitol but the side effects, as with every other time I've tried anything containing it, were so unpleasant that I've decided it just isn't for me. Hi Jane, I do find I can't have too much with xylitol in, I have to have it in real moderation, a laxative effect it does have. I think most of the alternative sweeteners that end in 'tol' have that problem. As I understand though the coconut sugar is okay if you are diabetic as it is low GI, if you haven't had it before it is a lot like brown sugar rather pleasant and great in baking. But if you consider buying some make sure it is an organic version as some of the coconut palm sugar sold in Asian supermarkets can be mixed with ordinary sugar. I had some coconut sugar in my coffee yesterday it was yummy. I am thinking of cutting back on the xylitol in my coffee and sticking to coconut sugar as I do like my coffee. Thanks Kelly. I'd never heard of coconut sugar until this week and it's the second time in a few days I've read about it. It looks very like the Malay sugar my husband tells me he loved as a child, so I'll have to get some to try – even if I don't get on with it, it will be a real treat for him! Fab Jane, let me know how you get on with it. I used it in my chocolate fudge recipe and it was yummy as I don't use any refined sugar anymore. Also having it in hot cocoa so glad to have discovered it. Hi Jane, just a little update if you are looking into coconut sugar, it is not totally GI free so if it is used in recipes with protein or fat it will help. It is still sugar just lower in gi and more nutritious. As with anything moderation is key and as you are diabetic your blood sugar will different to another who is diabetic so just be wise if you use it. This definitely leaves me wanting to try some of their stuff. I actually quite like dark chocolate, like you not so keen on mint .. the orange one I must try. This raw chocolate thing sounds interesting too .. very well reviewed and keeps the reader interested.